Engraved pavers provide a way to leave a lasting legacy on the campus of the area’s oldest higher education institution – SOWELA Technical Community College – established in 1938. Whether you are a student, an alumnus, a faculty or staff member, or a community supporter, SOWELA is pleased to display your brick. You may also wish to honor or remember a loved one with a tribute brick. Proceeds from SOWELA Paves the Way benefit student scholarships and enhancement. Your brick will be placed in front of the new Sycamore Student Center across from the Charleston Building, and huddled between the Cypress and Chennault buildings, two of the original hangers that were part of the Chennault Air Force Base before it closed in 1963. This area is strategically located in a heavily trafficked area of campus. To view brick and paver locations, download the Sycamore Student Center diagram. The SOWELA Technical Community College Foundation reserves the right to determine brick placement in front of the Sycamore Student Center. Special requests will be considered; however, they cannot be guaranteed. The SOWELA Foundation is supporting our local economy and purchasing bricks from image360. Each brick is guaranteed to withstand blistering heat, sub-freezing cold, and remain beautiful for generations to come. image360 uses a computer-controlled laser engraving process to apply wording or logo to each brick. 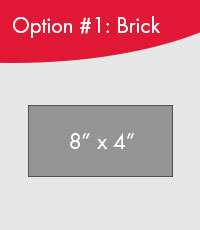 Two options are available: an 8″x 4″ brick or an 8″x 8″ paver. 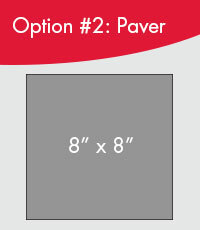 Purchase your paver or brick online today! 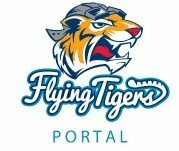 Then, download and complete the order form (PDF/opens new window). For more information, contact nuria.reyes-arias@sowela.edu or call (337) 421-6903. The SOWELA Foundation is a 501(c)(3) non-profit organization for federal income tax purposes. As such, you can deduct as a charitable contribution the price of your brick or paver less its fair market value, which will be provided in our acknowledgement letter. Visit with your professional tax advisor for additional information .